ST. LOUIS (October 3, 2016) – Equifax Workforce Solutions, a leader in human resource, analytics and verification services, and a business unit of Equifax Inc. (NYSE:EFX), today announced details of its latest research, which found that employees eligible for the Work Opportunity Tax Credit (WOTC) are less likely to leave their jobs, and are just as reliable and career-focused as their peers. Since its introduction in 1996, WOTC has offered tax breaks to businesses that hire workers deemed by the Department of Labor (DOL) to have significant barriers to employment, such as veterans, disabled workers, individuals on temporary financial assistance and residents of certain geographic zones. Despite the benefits, employers often conduct a risk-benefit analysis around whether the savings are worth the potential need for additional training for those individuals. 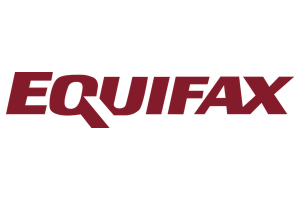 Equifax Workforce Solutions’ findings are likely to dispel much of the hesitance some employers may have about screening for WOTC eligibility among their candidates. When combined with the recent long-term renewal of the program, ensuring it remains in effect through the end of 2019, and the addition of a new category for the long-term unemployed, more employers are expected to participate in the program to gain maximum tax savings and benefit from these high-quality workers. ​Even more significant, the Compliance Center solution from Equifax Workforce Solutions helps employers turn the challenging process of screening candidates for WOTC eligibility into a streamlined, integrated solution alongside the Form I-9 employment eligibility verification process. Additional findings from Equifax Workforce Solutions research into the value of the WOTC program can be found in the white paper, “Dual Value of the Work Opportunity Tax Credit: Reduce Turnover While Increasing Income,” available for complimentary download at: http://workforce.equifax.com/WOTCdualvalue.